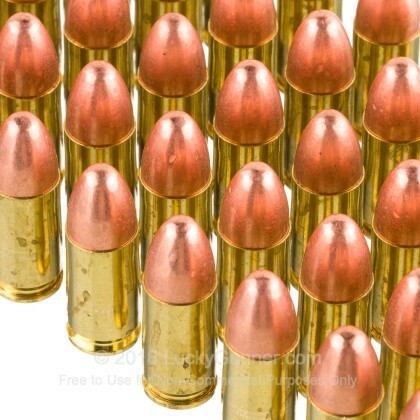 This brass-cased ammunition is newly manufactured in the United States. 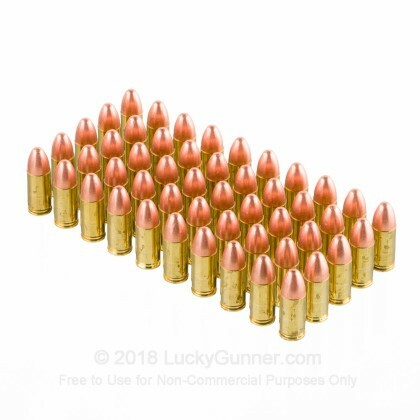 Each round is boxer-primed, non-corrosive, and reloadable. This ammunition is perfect for target practice, range shooting, and tactical training. It is economical, reliable, and brass-cased. The Blazer Brass line of product is manufactured by CCI, an established American manufacturer owned by ATK. This is the same company that makes Federal American Eagle, Speer Lawman, and other HIGH quality range & practice ammo. The first FTF worked on the second pass. The second one ignited the primer but didn’t shoot. Weird. Nonetheless, I bought 350 more today. Good price. 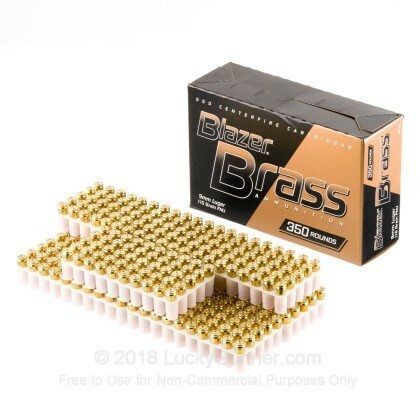 Great range ammo, but why pay $81 for a box of 350 when you can get 7 boxes of 50 for $77. We have three Glock 9mm's and have put 1000's of rounds through them without a single dud or jam. I can not argue with those results. We normally wait until we see the sale price on the bulk package which seems to be fairly regular. I tried other manufacturers rounds but I always come back to the Blazer Brass. Great range ammo at a great price. Fired through a couple of Sigs, a Glock and a CZ, no issues whatsoever. Of course the service, as always was exceptional. 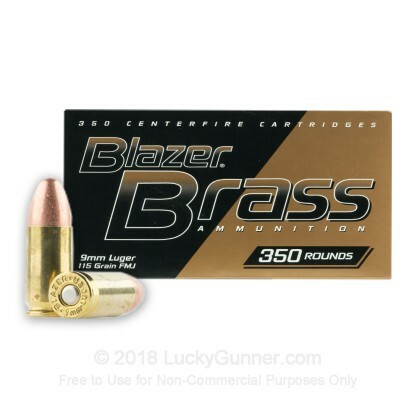 Shot 150 rounds of this Blazer Brass. not a prob in the px4 storm or the G26. 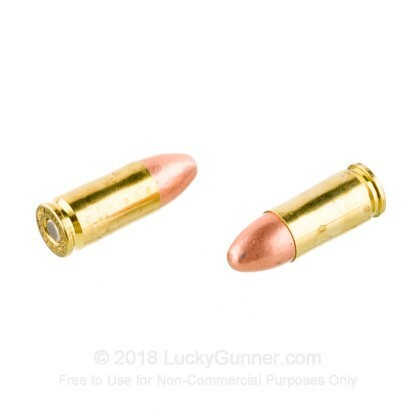 This is my go-to range ammo. The quality is great and the price is usually very good. Just got my order today. Arrived as promised. I couldn't wait until the weekend, so went to the local range and popped off 100. Clean ammo, no jams. Not the cheapest, but you just can't buy this stuff local, so I am glad to have found Luckygunner.com. Was a little concerned about shipping ammo to California but Luckygunner assuaged my concerns. Will be back to buy more! 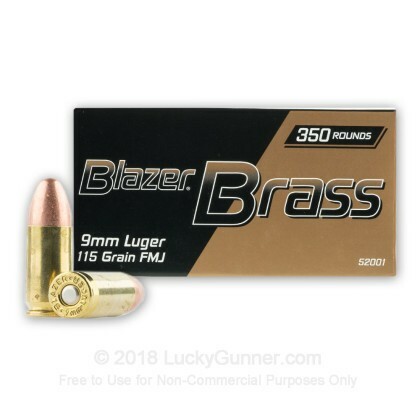 We also have this 9mm - 115 Grain FMJ - Blazer Brass - Value Pack - 1050 Rounds ammo in stock in a bigger quantity.